Gallagher Glencairn returns with Morgan MacAlister and both men mean to reclaim their heritage. But Morgan's sister, a beautiful golden-haired girl with haunted eyes, now rules his clan. Gallagher gives Eileen two choices, she can either wed him or he'll wage war against her and take it. Gallagher was born to rule Glencairn and rule it he will. Publisher's Note: Old-fashioned, loving discipline plays a part in this love story. If that offends you, please do not read. I'm a sweet romance writer with a bit of the hot and spicy thrown in. I love creating wonderful stories that the reader can immerse themselves in and leave the real world behind for awhile. I especially love strong alpha males who aren't afraid to take their girl in hand if she needs it. I live in the midwestern United States with my family and I really love cowboy stories especially. However, I'll write about anything that comes to mind. The imagination is endless and you never know when a sudden idea will pop up that you just have to write about. 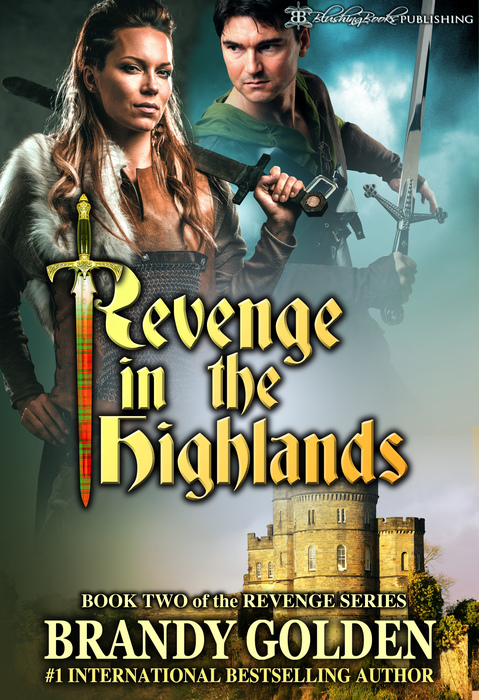 If you are enjoying the Revenge series so far, please feel free to leave a review, I would love it. Oh, and just so you know, these books all stand alone. Each book is a complete love story but some of the characters overflow into each other. But there are no cliffhangers to leave you dangling in the wind like a soap opera! I'm working on the third one right now and it should be along sometime this year.